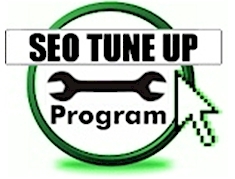 For long term search engine success, Hurricane Marketing will provide optimization for up to 5 pages of your web site. Search engine optimization (SEO) is the most effective and low cost method to create high rankings for a business web site. Combined with regular monthly promotion from Hurricane Marketing, this optimization helps build your rankings on major search engines as fast as possible. Usability Analysis of your website to identify how user friendly and effective your website is at capturing customers. In addition, we conduct a Usability Analysis of your website to identify how user friendly and effective your website is at capturing customers. These changes are created from strategy based on keyword research. These page changes are created by one of our Search Engine Specialists who have specific training in Web Site Marketing, Web Site Design and Search Engine Technology. We research the applicable keyword phrases for your website and develop the best optimization for generating online leads and additional business. We provide these changes to your website master or we can make these changes for you. Labor to install changes or additional optimization is billed separately.